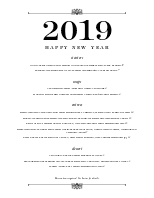 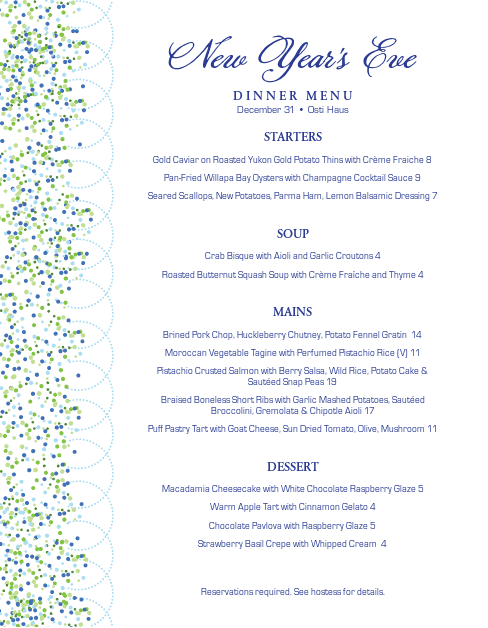 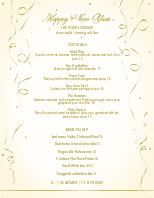 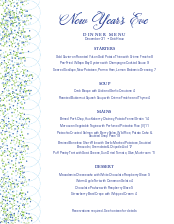 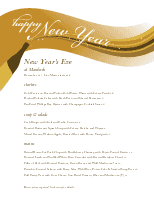 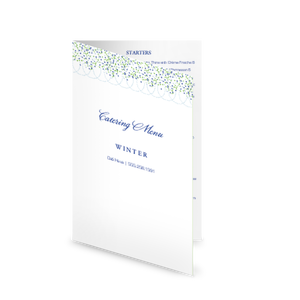 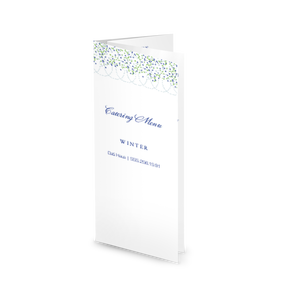 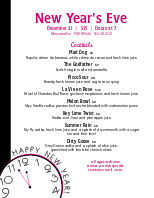 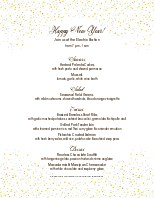 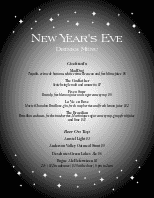 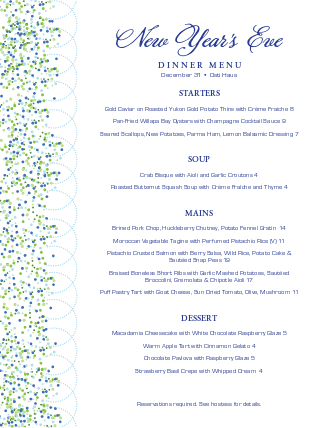 An elegant New Year's Eve menu featuring a border on the left side made up of green, blue and purple dots, and a light blue swirling streamer. 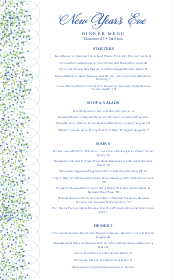 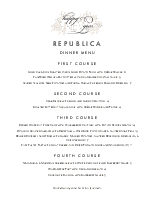 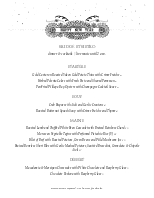 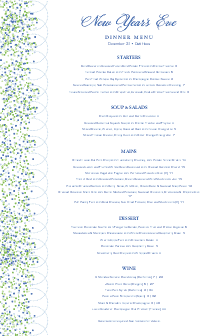 The prix fixe menu is listed down the middle of the page. 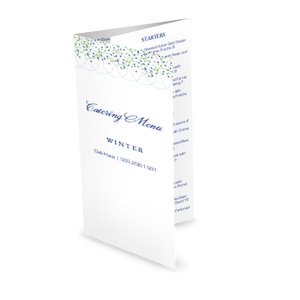 This menu can be customized online.